It’s never too early to start planning your next vacation! There’s nothing quite like taking a camping trip, whether you stay in Colorado or venture across the country. In most cases, it is a way to relax and reconnect with nature while not having to lug everything in to a hotel room every night. However, it does take a little planning to make sure your trip goes smoothly. Anyone else have visions of Robin Williams chasing his runaway motor home through the Rockies? Start by making sure that your camper is in good condition. Your Recreational Vehicle (RV) is likely coming out of storage over the winter. This comprehensive checklist from KOA’s Blog gives you a good resource on checking batteries, water system, gas system, tires, etc. before heading out. Make sure you have the proper equipment with you to check these during travel as well. Think about carrying a portable battery charger, tire gauge or monitoring system, fire extinguisher and a small tool kit for starters. As you are planning your trip, you will likely want to make reservations ahead for some of the more popular campsites. Places like Rocky Mountain National Park and Mesa Verde National Park are desired destinations for people across the country so you can be battling for space amongst many other eager families. Here are a few websites for reserving sites on Federal land. 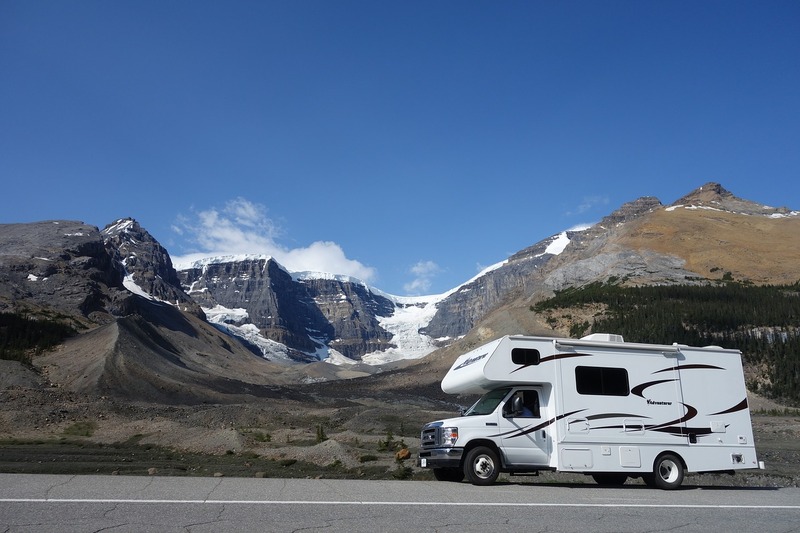 Before you hit the road, make sure you and anyone else who may need to operate the RV are comfortable with all of the features (and limitations) of your vehicle. If you are towing a car or trailer, be mindful of how that will affect the stopping power and maneuverability of your unit. Because your vehicle is heavier, it obviously won’t accelerate as quickly as the cars around you and will gain speed faster when going downhill. Be patient and aware of other vehicles on the road as they may act aggressively to get around you. Know your vehicle dimensions so you can safely judge if it will fit in a tight spot, whether that is a parking space or under a low bridge. Become familiar with the blind spots and use caution when backing, merging or changing lanes. Finally, it is time to start packing. Since there can be spots without cell service, make sure you have a backup plan for your directions. You can pack old-fashioned paper maps or bring a GPS device. Google Maps also allows you to plot your trip and then download the map so you don’t have to use your data even when it is available. Since there are likely several electronic devices coming along, a power inverter is a great option to keep your cell phone, laptop, and e-reader charged while traveling. Don’t forget the games – board games, decks of cards, and outdoor games will make sure you have entertainment readily available and might even make you some friends at the campsite. For those avid RVers looking for the latest in RVs, gadgets, and everything else camping, be sure to check out the Colorado RV, Sports, & Travel Show this weekend (March 1st-4th)! Remember to give us a call at 303-232-3100 to review or purchase coverage on your motor home, travel trailer, or other recreational vehicle. We’re here to help!